The Uvirith’s Legacy Walkthrough contains quest descriptions, hints, and spoilers. All spoilers are hidden until you click on them, and greater spoilers are nested inside lesser ones, so you need not fear spoiling the game if all you’re looking for is a nudge in the right direction. To access everything available in Uvirith’s Legacy, you have to join the Telvanni and build a stronghold. This is part of the original game and covered in the UESP Wiki. That may seem obvious, but the occasional new player doesn’t realize this. Most switches around the stronghold require the Tel Uvirith key to function. If a different key is required, it’ll be mentioned in the entry. All switches are triangular, similar to the ones for Ghostgate. Switches to the tower lift are found on every floor of the levitation shaft. Two switches open the nix-hound cages. They lie on the cage’s center pillars. The switch to open the caged alcoves (for armor mannequins) is behind a pillar on the wall opposite the main stairway. It’s to the right of the right-hand tunnel. Beside the false bookcase at the back of the library is the switch to reveal the secret passage. Talking to the off-duty guards in the prison barracks about Durza gra-Grathmok has a random chance of revealing that she likes to tell jokes. This will make the “joke” topic available in her dialogue. She has a selection of 10 random off-colour jokes to tell. She also has funny stories to tell if you give her a big enough tip. Also try giving something strong to drink—something really strong. You are awakened by a loud noise. 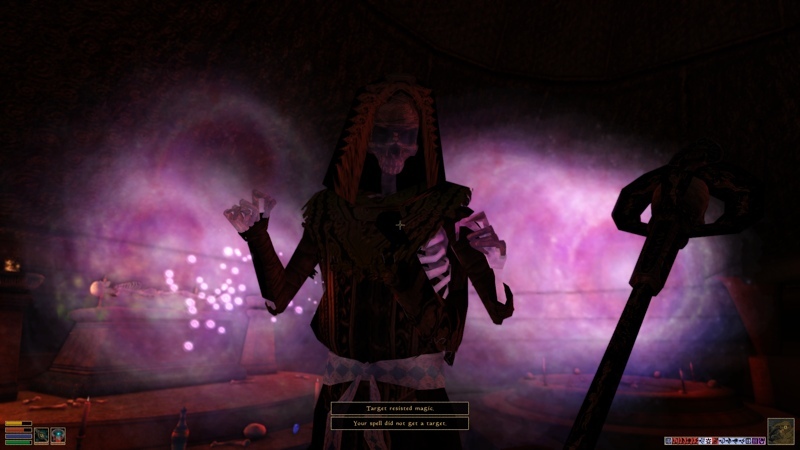 If you’ve got this mod loaded, consider timing your release of Arnamir and Verena so they never meet each other, and they’ll both get a sad ending. After leaving for the mainland, Verena will end up dumped like Anne of Cleves and sent to live in a manor in the middle of nowhere outside Port Telvannis.